Some of the many different "faces" of Iranians/Iranian Americans. These particular "faces" are some young Iranian American children from a summer camp that is discussed in an article below (please scroll down to see many more 'faces of Iran'!). 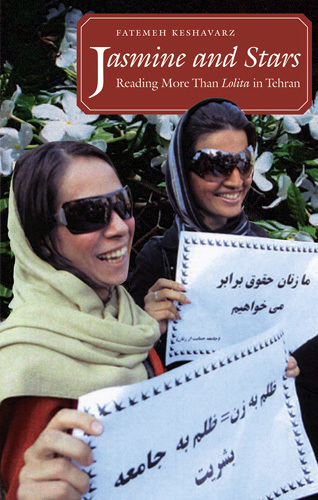 (Image courtesy of http://www.iranalliances.org). Greetings from the beautiful Turkish island of Buyuk Ada on the sea of Marmara where there are no cars and plenty of lively seagulls. The summer had been so busy that when I got to the island, I gave everything a break including the Windows. 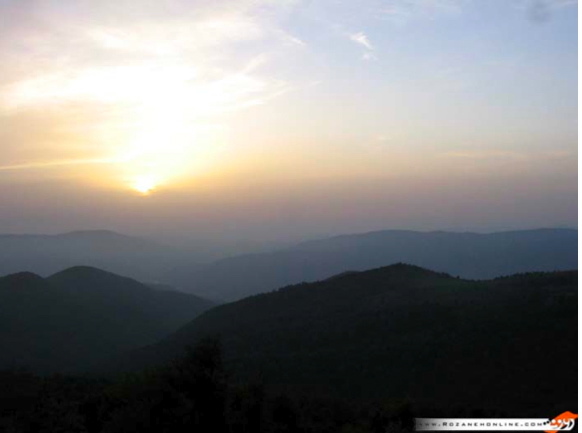 But I just can’t resist sending you at least one message from this very peaceful and lovely place where the last thing you would like to do is following the news. I must confess that it is refreshing not to have Iran in the headlines. This will be a shorter window and I owe much of its content to Behrooz, Matt, Bahar, and Joy. Please forgive me if you have written and I have not responded yet, or if I am not acknowledging your contribution properly. Maurice Motamed (or, Morris Motamed), who is the only Jewish MP in the Iranian Parliment, called the offers of large cash rewards for Jewish immigration from Iran to Israel "insulting." The Jewish community in Iran is the largest in the Middle East outside of Israel and dates back to at least 700BCE. 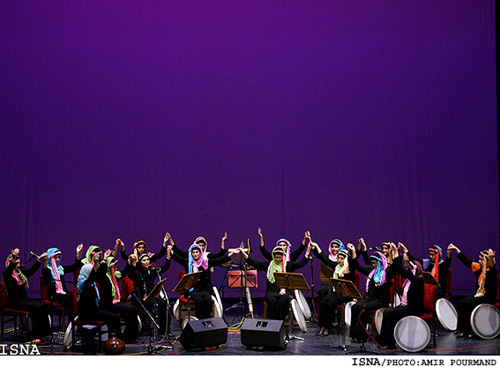 Iranian women's group Saman-Buyan (director Elham Kazemi) performing at the Vahdat Hall in Tehran during the two day Women's Music Festival "The Sound of Kindness" in July 2007. 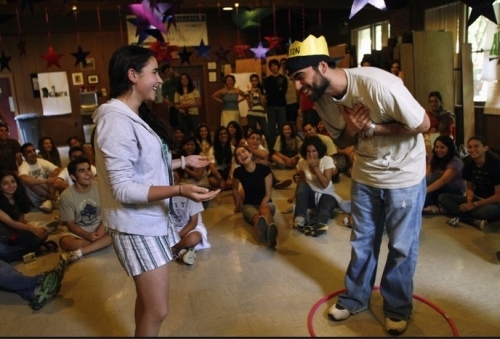 A photo from the "Around the Campfire" summer camp for young Iranian Americans (image courtesy of The Washington Post). Hope to be sending you new Windows from St. Louis soon. 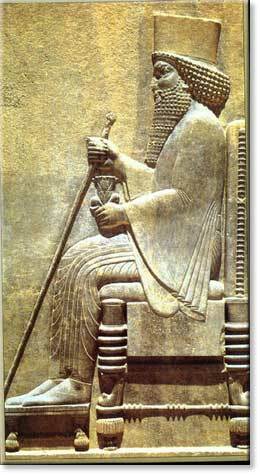 The real historical Persian King Xerxes (above), who, notice, bares absolutely no resemblance to the bizarre and, ultimately, offensive depiction of him in the Hollywood movie '300.' See below for more on this movie and its grossly historically inaccurate portrayal of Xerxes and the Persian Empire in general. It is a pleasure to open another window, one that greets the Spring. 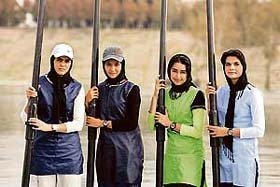 Iranians everywhere in the world are now busy preparing for Nowrouz, the Persian New Year, 1386! For my Nowrouz gift to you, click here: Nowrouz (the Iranian New Year celebration). I hope it gives you a fun visual tool for teaching about Nowrouz. Happy Nowrouz/spring to you All. I receive daily requests to subscribe to this list. Thank you for your interest. Please allow us a day or two before getting your first window. If you have been added to the list by mistake, please write us a short message and we will take you off. * If you are an Iranian, you will have a hard time deciding which misrepresentation of yourself to expose! This year it has been made easy for Iranians. They get their New Year’s gift in the form an ominous movie called “300” that portrays Persians / Iranians as “inarticulate monsters, raging towards the West, trying to rob its people of their basic values.” The movie “demeans the population of Iran and anesthetizes the American population to war in the Middle East” in the words of Touraj Daryaee, Professor of Ancient History (Californian State U., Fullerton). In a review essay called: “Go tell Spartans How “300” misrepresents Persians in history,” Prof. Daryaee critiques the movie eloquently. For example, in the movie, the historical quote “We are the mothers of men,” is addressed to a Persian brute (obviously blind to gender issues). According to Daryaee, this sentence had nothing to do with Persians, but rather was part of a completely Greek debate on the position of women, regarding the fact that Athenian women were forced to stay in the andron (inner sanctum of the house) so that their reputations would not be tarnished. Spartan women were different than the Athenian women, but Persian women of this period had more freedoms than either the Spartans or Athenians and not only participated in politics, but also joined the army, owned property, and ran businesses. 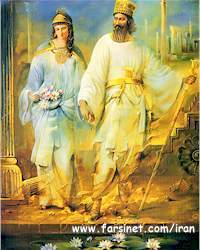 A more historically faithful depiction of the Persian King Xerxes (or, also a times referred to as 'Ahasuerus' ) with his Jewish wife Esther (of the 'Book of Esther' in the Hebrew Scriptures fame, see Esther I: 1-21). A Threat to All of us! Perhaps influenced by movies of the above kind, a couple of days ago Senator Obama gave his Nowrouz gift to the Iranians by calling Iran “a threat to all of us.” An astonishingly vague, and dangerous, assertion. Please note that in the past fifty years or so, American politicians have worked to persuade the public that: Korea, Vietnam, Cuba, Chile, Panama, Nicaragua, Libya, Afghanistan, and Iraq were all threats to American and world security. Magically, Saudi Arabia, which produced the majority of the 9/11 hijackers, sponsors Wahhabism, and prevents its own women from driving on the streets, appears not to be a threat. its symbolic “color and warmth.” Click here: Chaharshanbeh Suri. 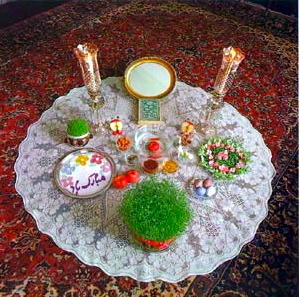 A Nowrouz (the Iranian New Year celebration) Haftsin (click on the Nowrouz link above for more details). that Holds Lessons for Today (Syracuse University Press, 2004). laugh at you! Iranian American standing comedians are working on that. Here is a clip from Maz Jobrani sent by my friend Hayrettin Yocesoy. A painting by Nilufar Baghaei (click on the link to the left for more!). Let’s see if we can revive the spirit of Nowrouz through meeting another delightful visual artist. This is a young Iranian painter and graphic artist, Nilufar Baghaei (b. 1969). Nilufar’s work is heavily inspired by children’s drawings the themes of which she explores creatively and colorfully. There you are, three themes most relevant to Nowrouz: children, creativity, and color. 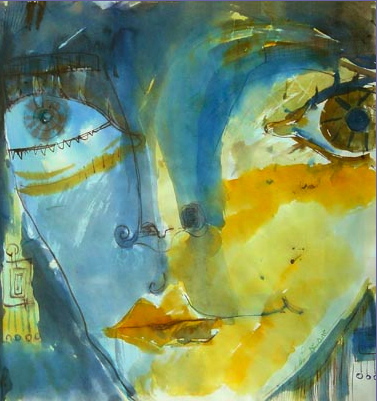 To Watch Nilufar Baghaei’s art show, click here Nilufar Baghaei Art, enjoy! Have a great spring, and see you next week.